Sign up for our FREE course and we will contact you directly to schedule a presentation. 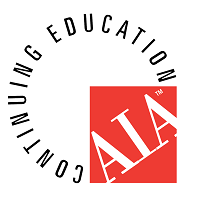 Our continuing education course will get you that much closer to completing your annual AIA Continuing Education requirement. "Architectural Stone Veneer: Transforming Spaces Through Color & Texture"
Eldorado Stone is an approved course provider for the American Institute for Architects (AIA) Continuing Education System.